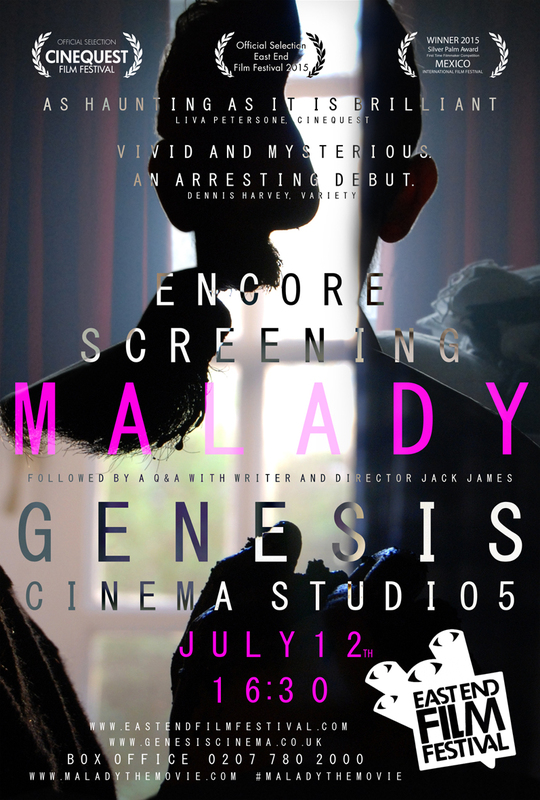 After selling out our 8th July screening for Malady at the East End Film Festival we have been lucky enough to have an Encore Screening added on the 12th July!! The screening beings at 16:30 and will start with a short film called ‘This is All of Us’ by Nadia Connors. Tickets are £8. THIS IS ALL OF US is a documentary film (27 mins) directed by filmmaker Nadia Conners that follows four protestors from their private moments alone in the morning through to their convergence upon a large protest in downtown Los Angeles for May Day. It is an observational film about going from isolation to connection, a portrait of the activists, tracking their excitement, boredom, futility, difficulty, danger, and bonding. It is visually poetic, intimate film with a beautiful original score by Eric Avery about the physical nature of direct activism. This Is All of Us captures the personal space – in body and mind – of these select participants – getting behind the mask . By going from private space to public participation the film unpacks the sometimes inaccessible images of the ‘protestors’ in the media. Two of the ‘protestors’ the film follows had been canonized as faces of the Occupy movement on covers of Time Magazine and Adbusters. This entry was posted in Uncategorized and tagged british film, debut feature film, director, drama, east end, east end film festival, eeff2015, encore screening, festival screening, film, film festival, independent film, indie film, july, london, malady, nadia conners, teaser trailer, this is all of us, uk film. Bookmark the permalink.